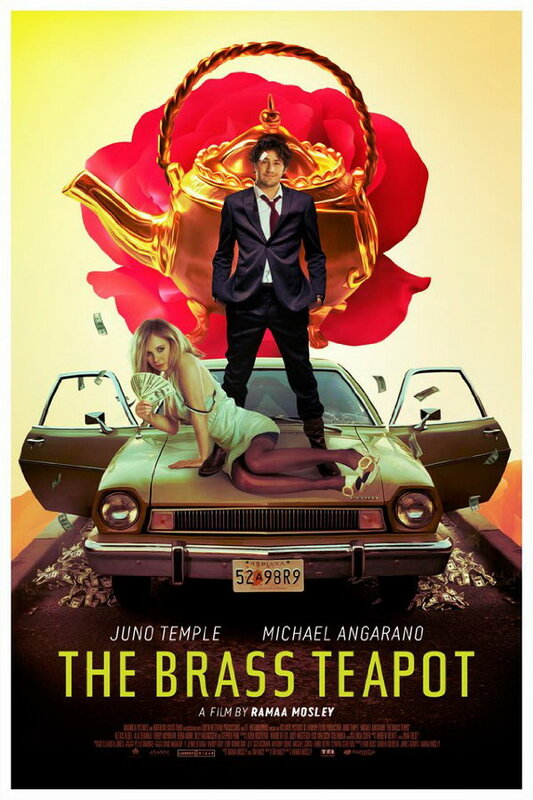 The Brass Teapot font here refers to the font used in the poster of The Brass Teapot, which is a 2012 American comedy thriller movie that is about a couple who come across a Jewish magical brass teapot that makes them money whenever they hurt themselves. The font used for the movie title in the poster is probably Tasse Regular designed by Guy Jeffrey Nelson. Developed from Topic or Steile Futura, Tasse is a letterform that Paul Renner, the designer of Futura, explored in the mid nineteen-fifties. You can view more details about it here. The Tasse font identified above is not available for free, please follow the link above and purchase the font. Meanwhile, you can take a look at our collection of fonts for cars, pop music and apparel as well as round-ups of new & fresh fonts around the web. In addition to The Brass Teapot, It seems we can’t find other examples (logos, movie posters, album covers etc.) of Tasse typeface in use.